FlexRadio Systems introduces the FLEX-5000™ family of ultra high performance Software Defined Radio transceivers. 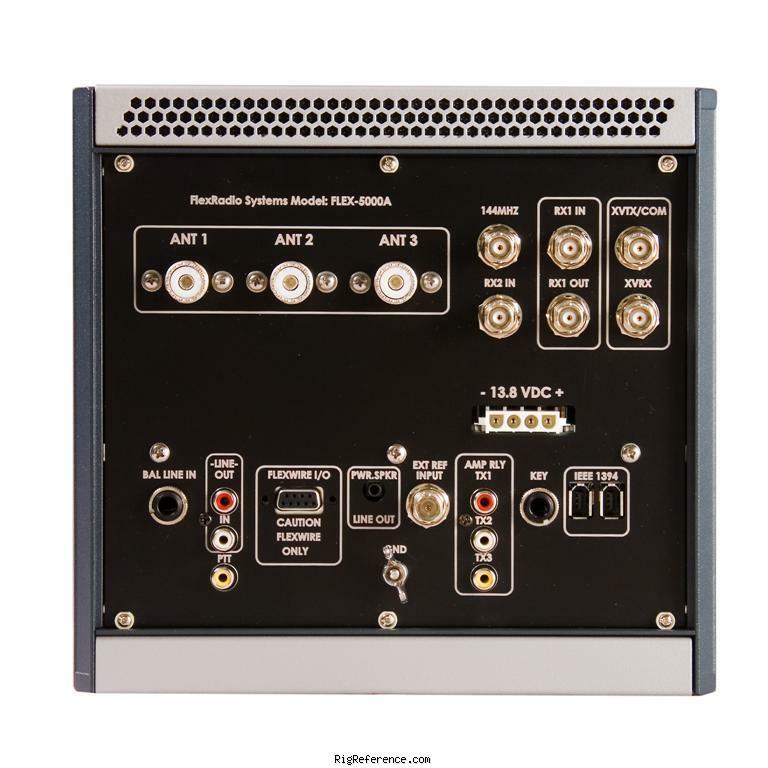 The FLEX-5000A integrates all I/Q data and hardware control over a single FireWire® (IEEE-1394) connection to a user provided computer. Sound cards and multiple cables are no longer necessary. Convenience and ease of setup are built right in! The "workhorse" of the family is the FLEX-5000A . The same receiver and transmitter are common throughout the entire FLEX-5000 family, so no matter if you have the FLEX-5000A or the fully integrated FLEX-5000C™, you still have the same outstanding performance and capabilities. The FLEX-5000 connects to the PC via FireWire. Most flexible and easiest operating rig I have ever had. Also have the ATU, second receiver and VHF/UHF unit. After using it for 3 years i only can say "Best rig i ever owned"
In my opinion the Flex-5000 with the continuing support of KE9NS is about the pinnacle of SDR for 80 to 90 percent of ham radio operators. With ATU and 2nd receiver plus the UHF/VHF modules it will do it all. There are so many options and use modes that I never get bored using this rig. Operating perimeters are infinite. Follow https://www.youtube.com/watch?v=fV_iolSf3OA W1AEX's excellent video on setting up the audio train for each mode and this baby rocks. Estimating the value of a rig can be challenging. We collect prices paid by real hams over the years to help you estimate the current value of the FlexRadio FLEX-5000A. Just bought or sold this model? Let us know what you traded it for and help other ham operators!